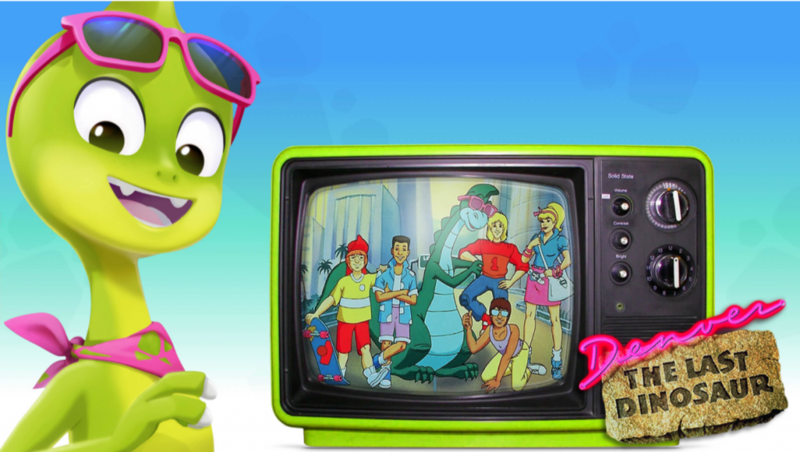 5 Reasons Denver the Last Dinosaur will be the Next Big Kids’ TV Hit! 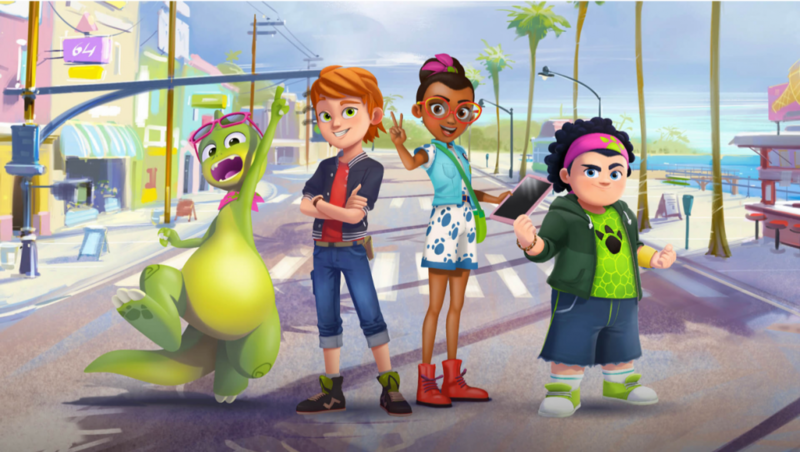 After the worldwide success of “Miraculous”, and “Zakstorm”, the creative team has come together again to offer a new unique adventure: Denver, the Last Dinosaur. Denver is a star product from the 90’s, which achieved legendary status among and entire generation around the world. The series aired in over 100 territories worldwide! 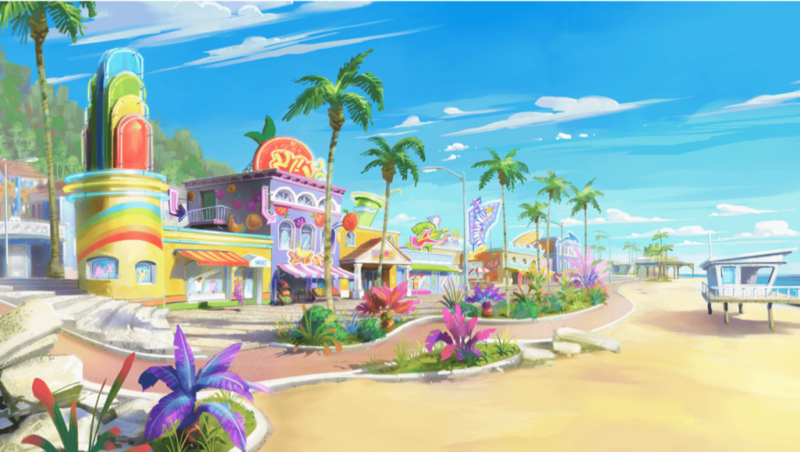 The creative director, Nathanael Bronn (creator of the Miraculous universe) wanted to create a rendering and unique look & feel that played homage to the original 90s series. This original look helped translate the fantastic colors and sunny mood that makes you feel the “California Beach” spirit. “Denver”, is the story of two friends — Denver the Dinosaur and Harry the human, both born on the same day, who grew up together as brothers. They’re 8 years old, and never too far from their best friends, Super Dan and Charlotte. 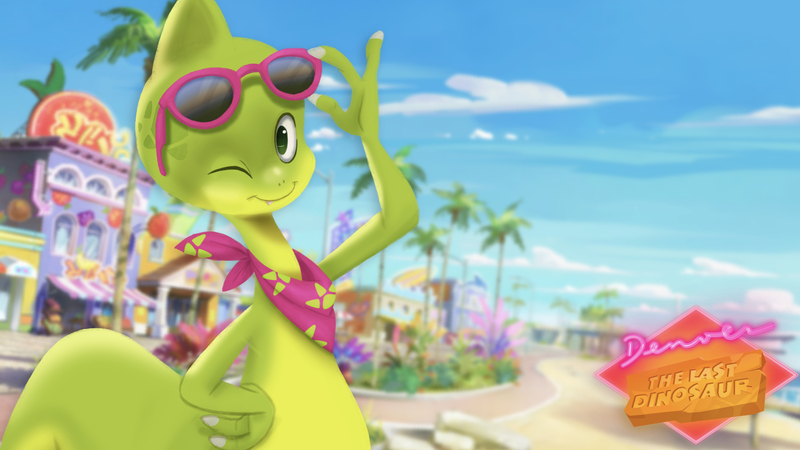 Together, they call themselves the “Dinopals”! Denver 2018 is a total reinvention of the 80s series. Our ambition is to offer a new generation a new mythology, a new Denver! We all remember the famous bright pink guitar of Denver, and we wanted to make sure that we kept this main element in the reboot. 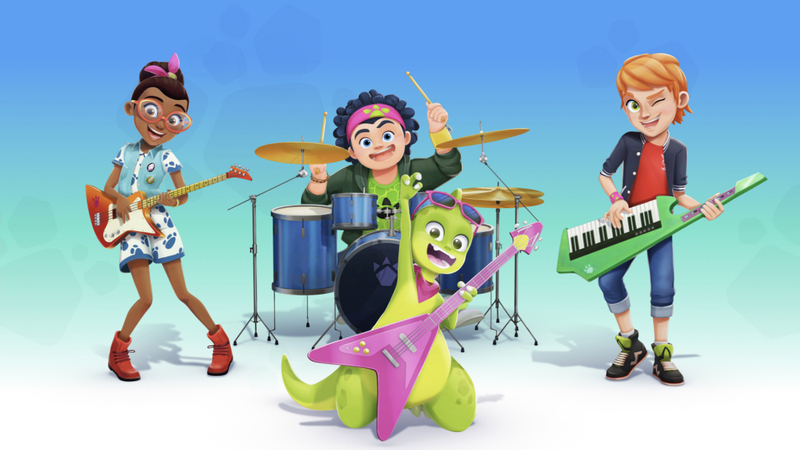 Denver and his friends form a music group called “the Dinopals”. which remains a central part of the series. « Previous	Monchhichi Gets Greenlit for Season 2! Next »	Alvinnn!!! & the Chipmunks Gets Greenlit for Season 5!